But not all elders need the same services. Finding activities that help seniors grow and nurture their emotional, intellectual, physical, and/or spiritual quality of life can help to enrich an elder’s whole life and bring back joy. Elders is their 70’s can benefit from a personal assistance service added to your geriatric care management agency.Some boomers can be isolated and depressed from a lack of social interaction and an inability to find groups or services in their community that would increase the joy in their life. They do not need health care assistance but can find more joy from socialization and a GPS to where to find it. 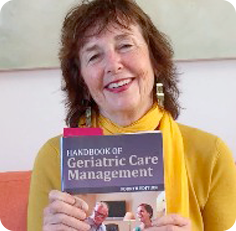 What will happen when care managers and professionals in aging will have to zero in on quality of life activities for older people young in the 60’s – today’s baby boomers. Where is their joy? What will advance their quality of life? How will you find it? Assistance with technology by 1-1 home visits and through agencies that offer those services can be located by personal assistance services Helping boomers locate senior travel services can be another benefit to their quality of life.Even helping them prepare for a trip.Finding classes seniors would like to take and groups of seniors who offer them to seniors is another way a personal assistant can help. Elders are often interested in genealogy. Locating groups in the area that help with genealogy in libraries is a great personal assistance service and helping them on the web or connecting them to an expert who can guide them to find the history of their family.